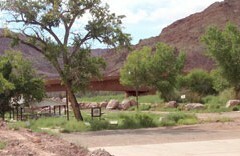 In March 2012, Grand County, Utah received funding from the National Park Service "Connect Trails to Parks" program for projects to enhance the Moab Lions Park Transit and Trail Hub. 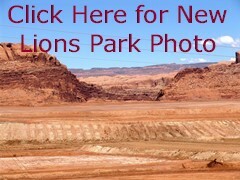 Over the previous four years, individuals from Grand County, Moab City, NPS, BLM, the Lions Club, Trail Mix, and the Moab Trails Alliance had collaborated to develop Lions Park as a trail and transportation hub. The various groups worked with a consultant hired using the NPS grant monies. The ground breaking for the Transit Hub was in September 2012. 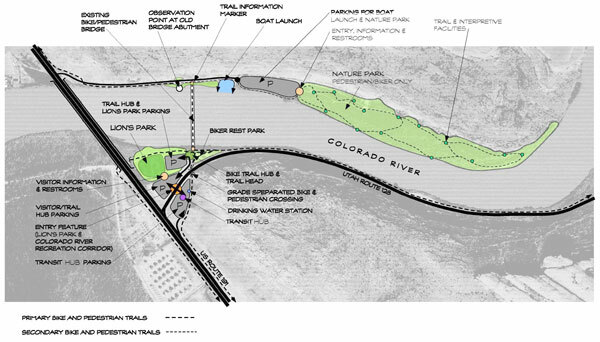 As planned, the hub would include interpretive and trail signs, all to be installed during 2014. 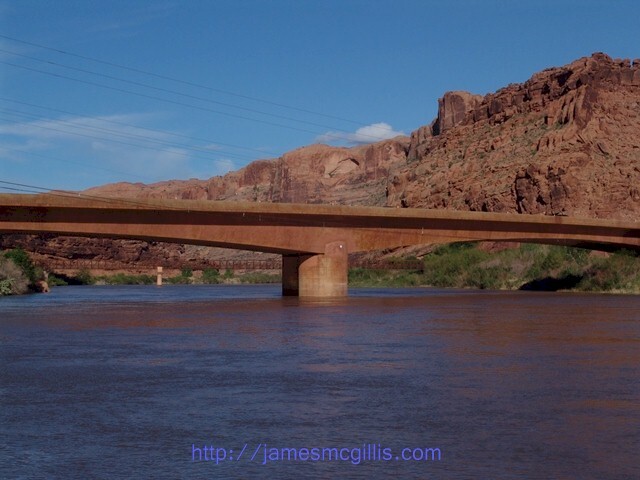 Starting with new energy applied by the Moab Lions Club in the 1970s and 1980s, public, private and nonprofit agencies and individuals poured countless hours into planning “Lions Park: Gateway to Moab”. By April 2015, the new Lions Transit Hub was in operation just across State Route 128 from the old Lions Club Park. Decades of planning and construction around the old park were almost complete. 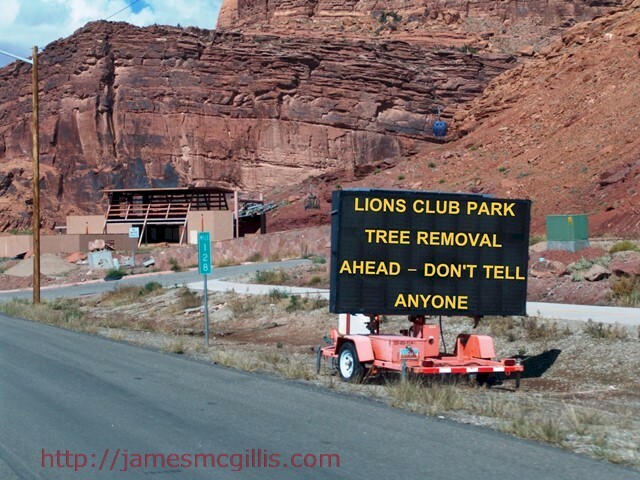 Careful redevelopment of the quaint but aging Moab Lions Park was all that remained undone. Unfortunately, a successful outcome for Lions Park was not to be. 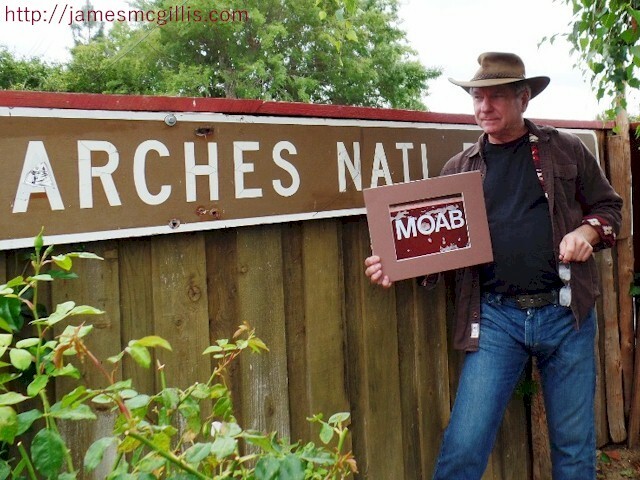 Before lunchtime on March 31, 2015, an ill informed demolition crew erased one hundred sixty years of history at the birthplace of Moab, Utah. Working from faulty plans, uninformed contractors used mechanized equipment to bulldoze every visible remnant of what once was Lions Park. Gone from the site were the stately Fremont Cottonwood trees whose ancestors once shaded the 1855 Elk Mountain Mission, and later shaded twentieth century picnickers. Gone were the familiar parking lot, walkways, picnic areas and water fountains. 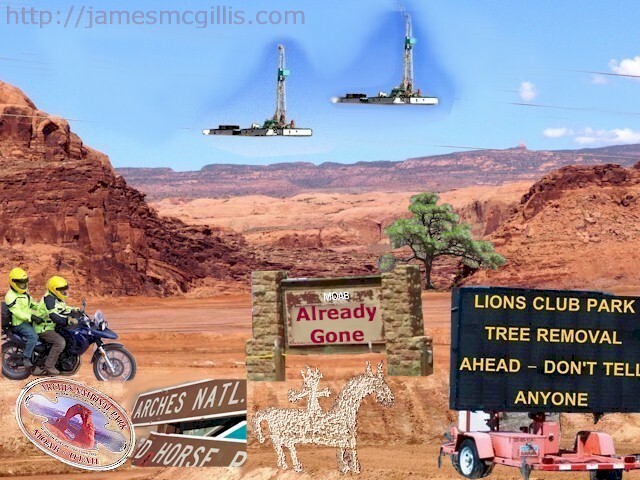 Gone was any trace of Moab Lions Club work performed over most of the late twentieth century. 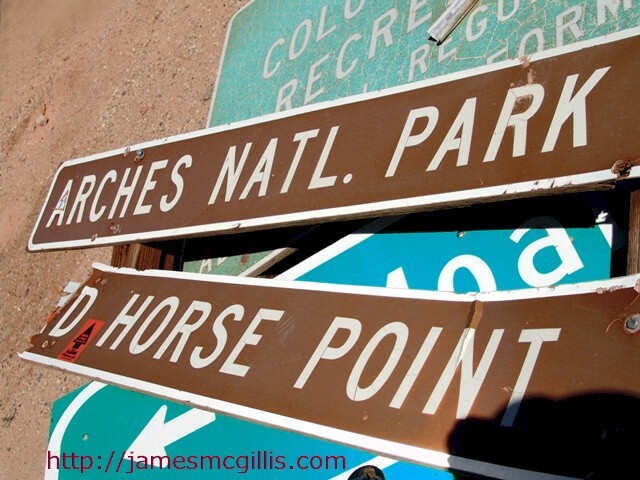 Gone from the southern terminus of State Route 128 were the classic wooden highway signs that once pointed the way to Arches National Park and Dead Horse Point State Park. “Even after all that effort, it just went amok,” Community Development Director Dave Olsen said. According to Olsen's estimates, some of the eight trees were 80 to 100 years old, and perhaps even older. 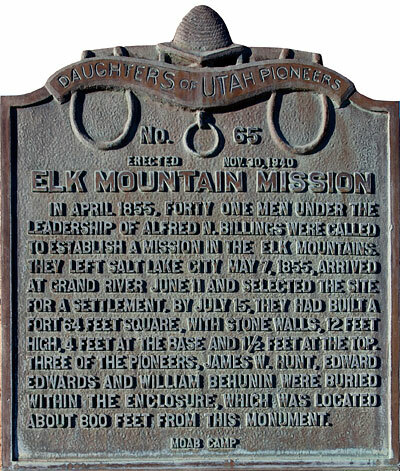 It is possible that several of those eight trees shaded the 1855 Elk Mountain Mission during their first days in Moab. “The damage was done before we could stop it,” said Olsen, who also serves as the city's arborist. 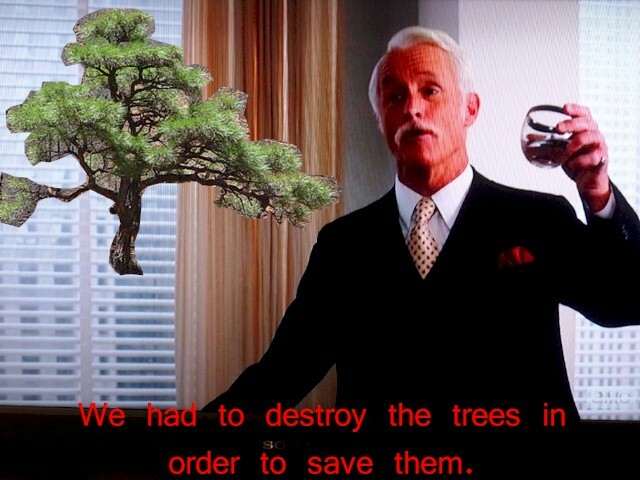 Did arborist Olsen ever consider providing drip irrigation, pest control or tree pruning at Lions Park? The United States Congress established Zion as a National Park in Utah on November 19, 1919. 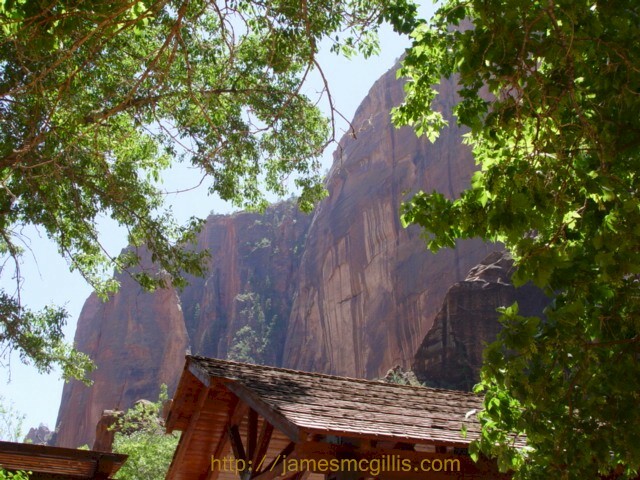 Many Fremont Cottonwoods standing throughout Zion Canyon predate the 1925 establishment of Zion National Park Lodge. In Abraham Lincoln's parlance, that would have been "four score and ten years ago". Drought and neglect had taken their toll as well, yet the majestic Fremont Cottonwoods shook off decay, hosting carpenter ants and termites in a symbiotic relationship that lasted more than four score and seven years. Turning the whole episode into a lesson in public safety, Olsen told the press that it would have been just a matter of time before he made a recommendation to remove the trees. Then, resorting to bureaucratic “double speak”, Olsen said that he would not have given permission to remove the trees now, within three months of the park's grand reopening. Despite the danger that the old Fremont Cottonwood trees might pose to the public, Olsen would allow park visitors to picnic beneath them for an indefinite time into the future. 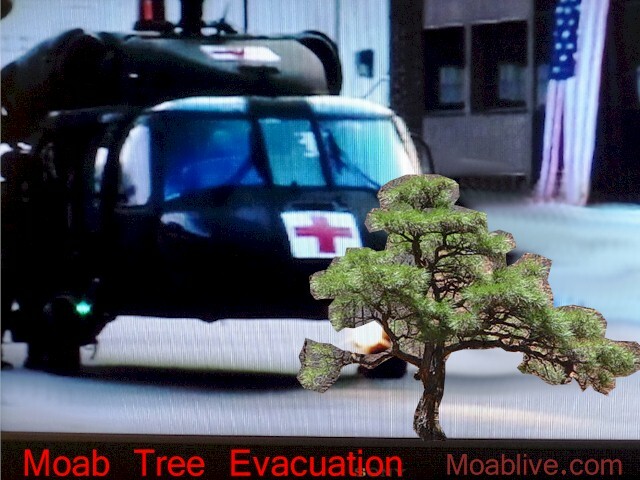 As Moab's arborist, it was Olsen's duty to inspect and determine any future risk that the existing trees might represent. Only in post mortem did he fulfill that task. Continuing with his anti-native tree theme, Olsen said that he would like to replant the new Lions Park with a combination of Bur oaks and Austrian pines. 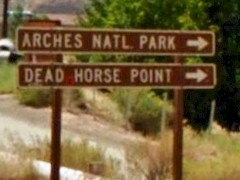 At the park, which by then looked like an extension of the nearby Moab Pile, Olsen said, “We wanted to make sure that it looked like a park, and not a barren desert". “When we have our grand opening, we're probably going to roast in the sun like bacon,” Olsen remarked. volunteers and government organizations have struggled to eliminate that ubiquitous and invasive tree species. 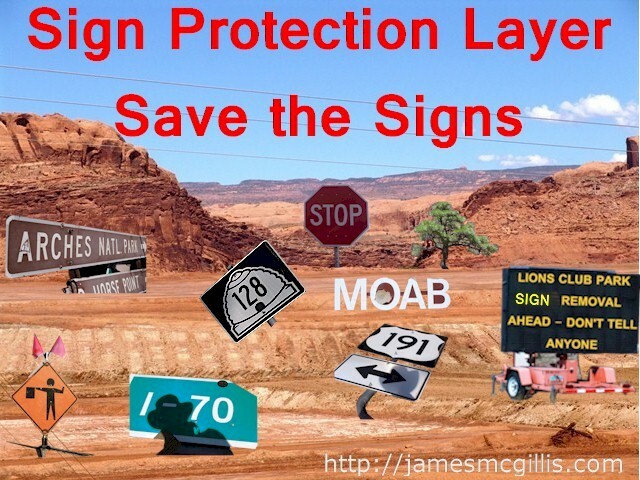 Before any Lions Park taskforce approves replanting with non-native species, I hope that the powers that be in Moab will pause long enough to complete their due diligence. 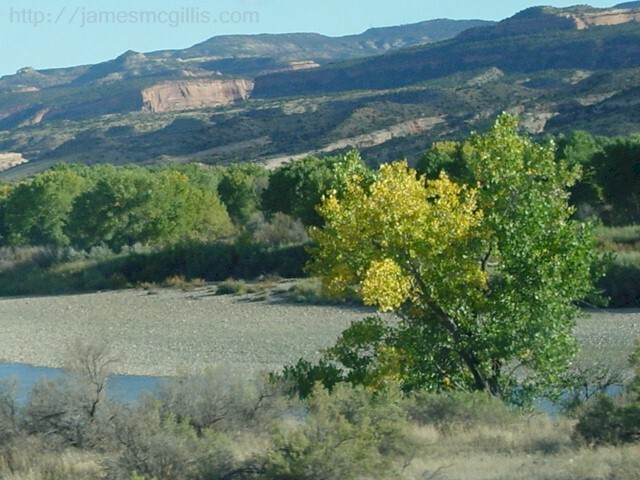 I pose the question, "What is the potential for Bur Oaks and Austrian Pines to become invasive species downstream, along the Colorado River? 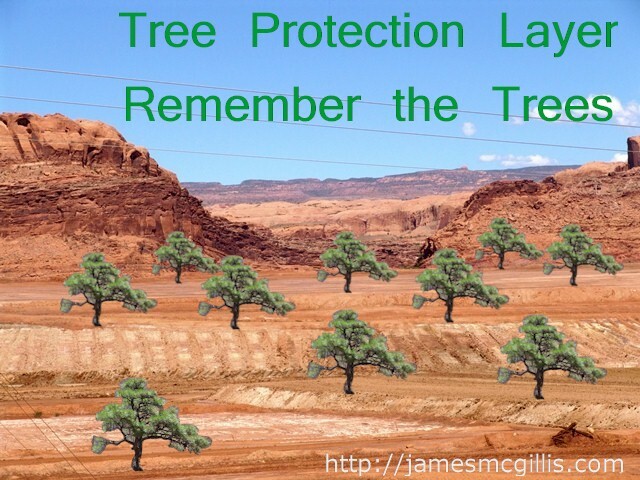 In the future, will Bur Oaks propagate and dominate the tree hierarchy in the soon to be re-exposed Glen Canyon? Replanting Lions Park with Fremont Cottonwood trees and then nurturing them in perpetuity is the right thing to do. By replanting with Fremont Cottonwood trees, future generations will have the benefit of watching Lions Park once again become what it once was. In the year 2102, four score and seven years hence, Lions Park may well be back to where it was before its 2015 destruction. I am sorry to say that unless I live to be 154 years old, I will not be present there in person to celebrate. I will, however, be there in spirit. In 2008, when the new Riverway Bridge opened nearby, I visited Lions Park and photographed a few historical features around the site. 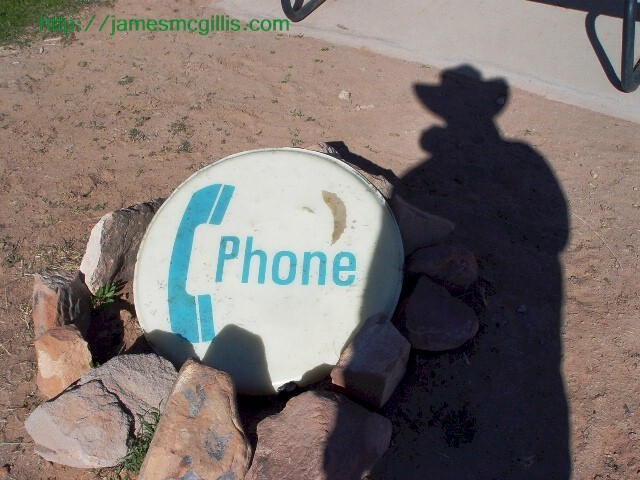 Most interesting to me was a masonry and wooden sign that faced out toward the intersection of U.S. Highway 191 and State Route 128. Lovingly hewn from Navajo Sandstone, its masonry structure was built to last for eons. Against its dark brown background, the word “MOAB” stood out proudly in white block letters. 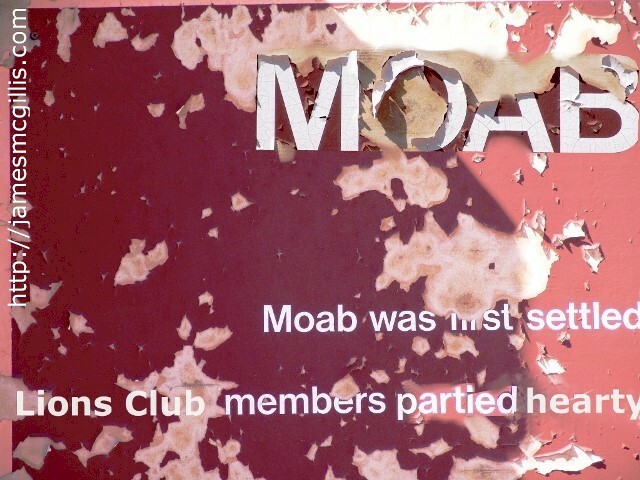 Below, the fading text told the story of Moab, from prehistory right up to the 1980s. 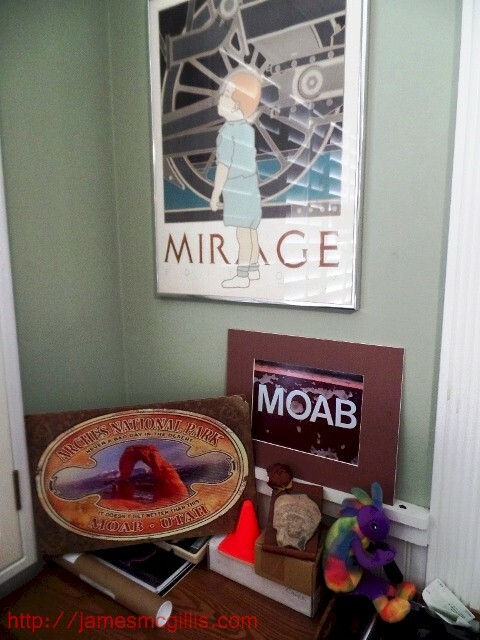 This original Moab sign's first internet appearance was on MoabJim.com, as a photographic print for sale. 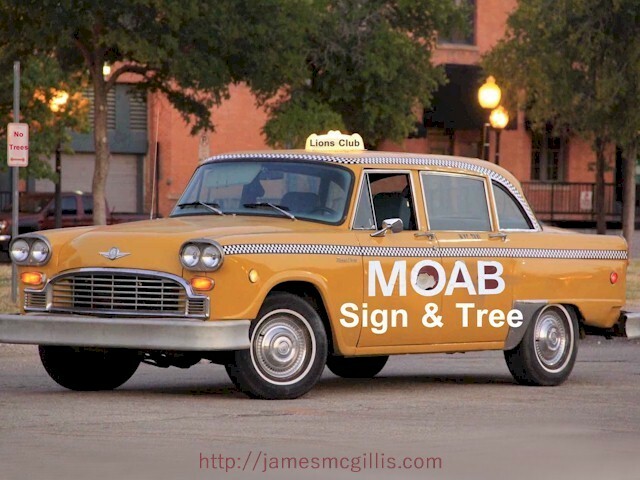 Later, I included the Moab sign in one of my blog articles. 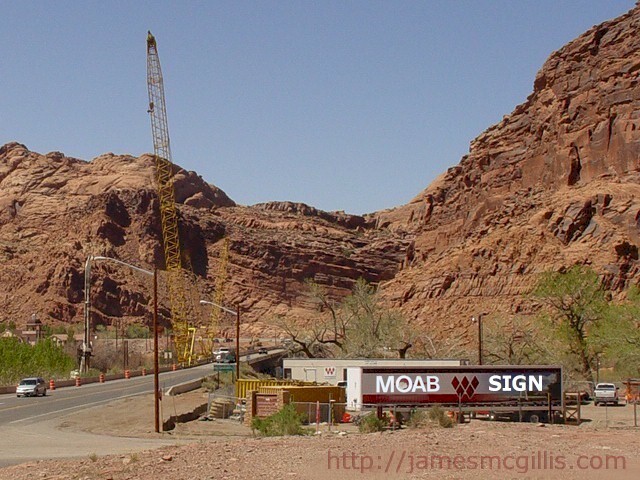 Each year, from 2008 to 2015, I revisited the site and photographed what I dubbed the “MOAB Sign”. 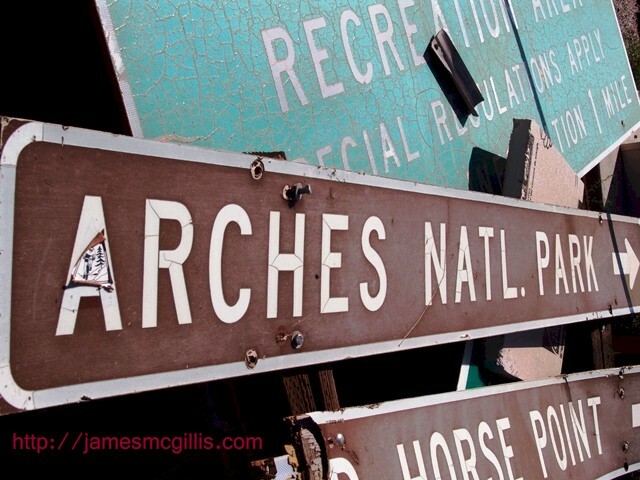 As with most signs that face south in the desert, the white lettering weathered and flaked off a bit more each year. Behind the sign, trucks, trailers, paving equipment and cranes that serviced bridge, road and facilities construction came and went. 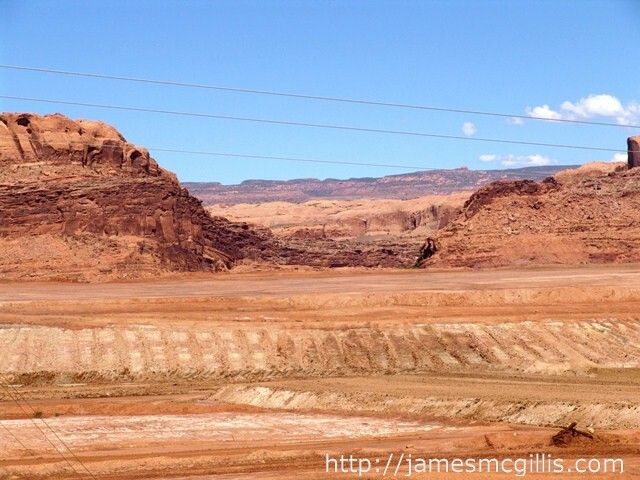 Since 2008, there had been nonstop construction within a quarter mile of the MOAB Sign. 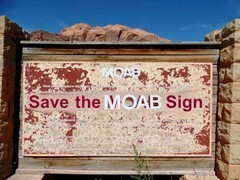 By 2011, the historical text on the MOAB Sign was flaking away. So too was the physical history of the old Lions Club Park. 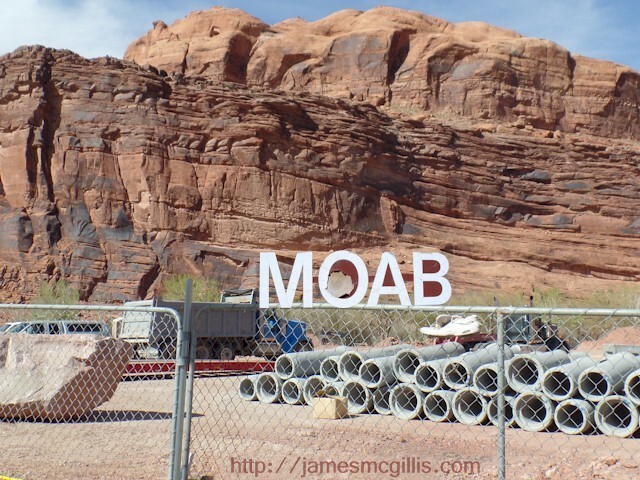 In late 2014, the flaking word “MOAB” still clung to the upper face of the sign. 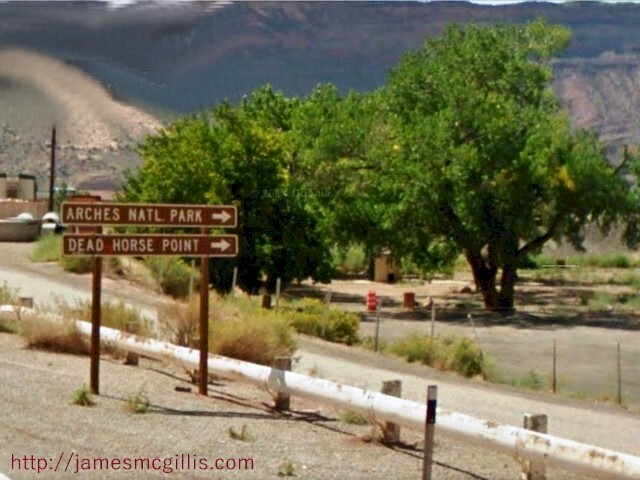 While on a photographic mission to Lions Park in August 2013, I discovered that something was missing from the area. As it turned out, all of the historical highway signs that once stood at the corner of State Route 128 and U.S. Highway 191 North were gone. Searching around the construction area, I found some grim remains. 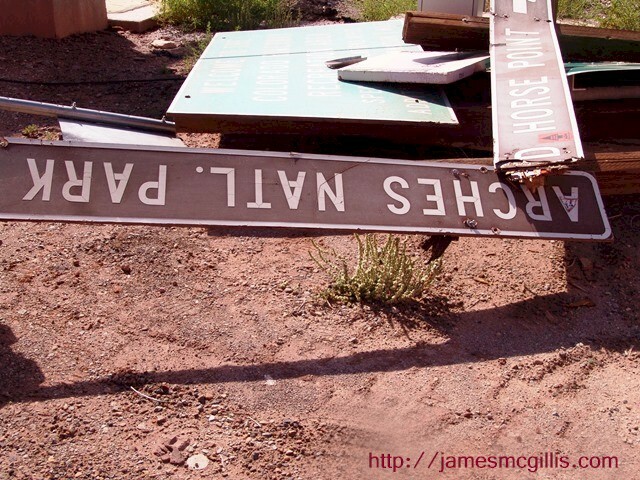 With complete disregard for Moab history, all of the old highway directional signs had been ripped out of the ground and dropped like so much scrap metal and plywood. 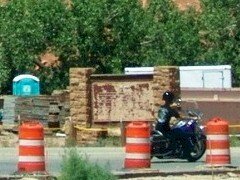 As a preview of what might someday happen, that scrap pile was partially hidden behind the original “MOAB Sign”. Perhaps the myriad consulting companies involved at Lions Park should have provided a "Sign Protection Layer" on their plans. In April 2015, I visited the Lions Park and Transit Hub. 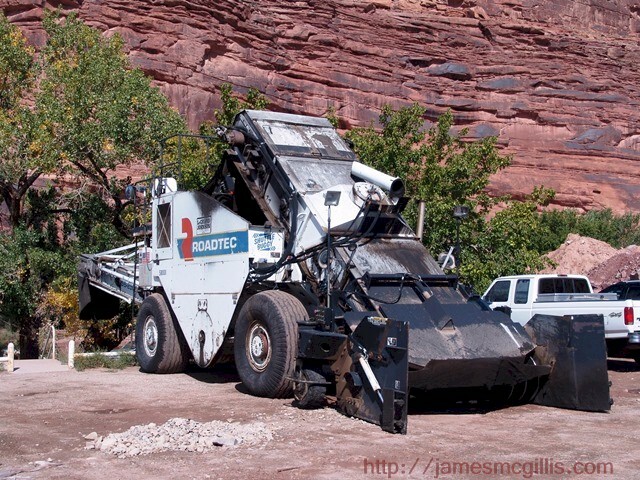 Construction equipment and supplies still covered the historical birthplace of Moab. The equipment blocked my view of the old park, which was at a lower elevation, near the riverbank. Not until I read later news reports did I realize that Lions Club Park was already gone. To have bulldozed and scraped away every concrete block and tree from the old park was not enough. 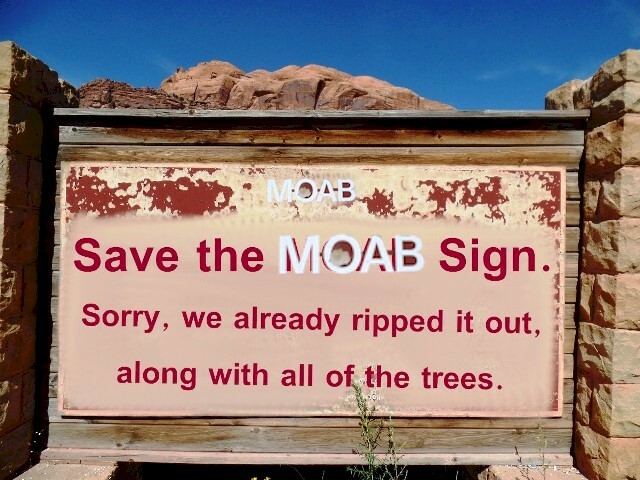 As their last act of publically sanctioned vandalism, the destroyers of old Lions Club Park surreptitiously toppled and removed the original “MOAB Sign”. 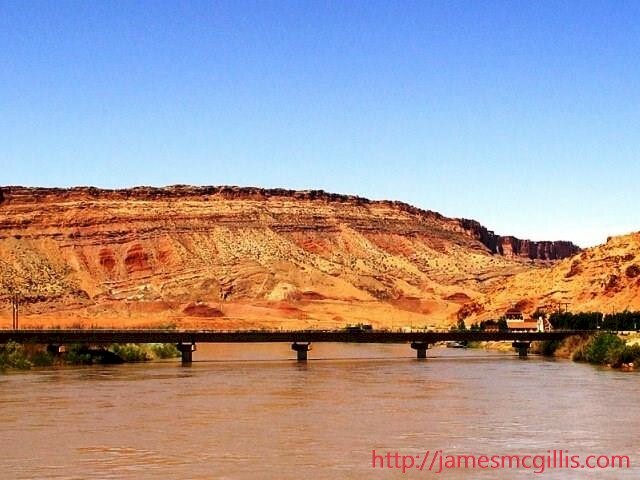 As the old monument crumbled to the ground, Moab closed one hundred sixty years of current-era history at the "Jumping off Place". 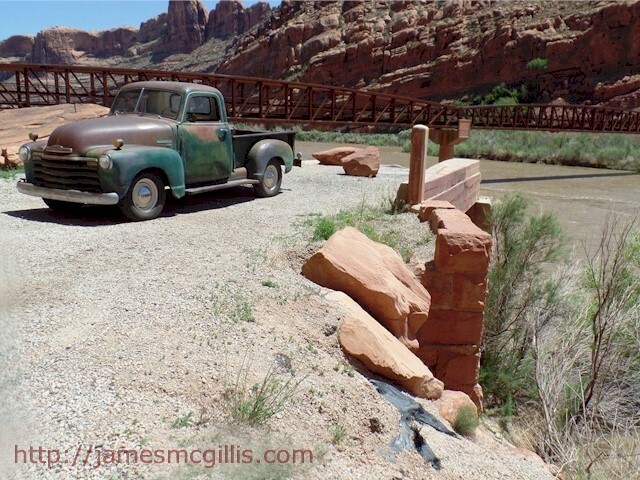 To future visitors of the Moab Transit Hub, interpretive signs and faded photos will be their only link to a shady oasis that once flourished in Moab, by the bank of the Colorado River. As of this writing, Google Street View still shows a 2012 view of the intersection at State Route 128 and U.S. Highway 191 North. 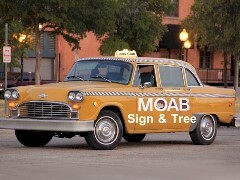 If you look closely at the linked image, you will see the original MOAB Sign. 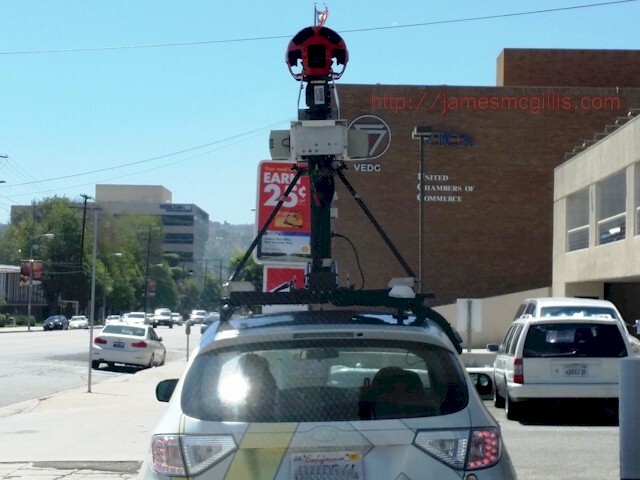 In the future, a Google camera-car will autonomously drive through that intersection, uploading digital images as it goes. Someday, Google will replace their old images with the new ones. 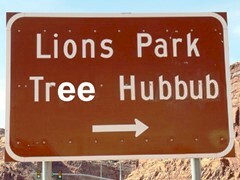 On that date uncertain, the original MOAB Sign and historical Lions Club Park will exit three dimensional time-space reality (3DTSR), henceforth living only in memory.